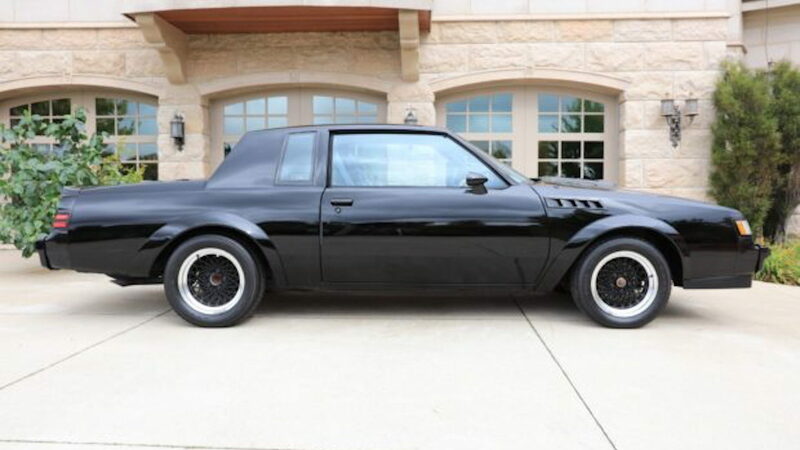 There are low mileage cars, and then there's this 1987 Buick GNX. Listed for sale on auction site Bring a Trailer, the muscle car has only gone eight miles in its 30-plus years of existence. 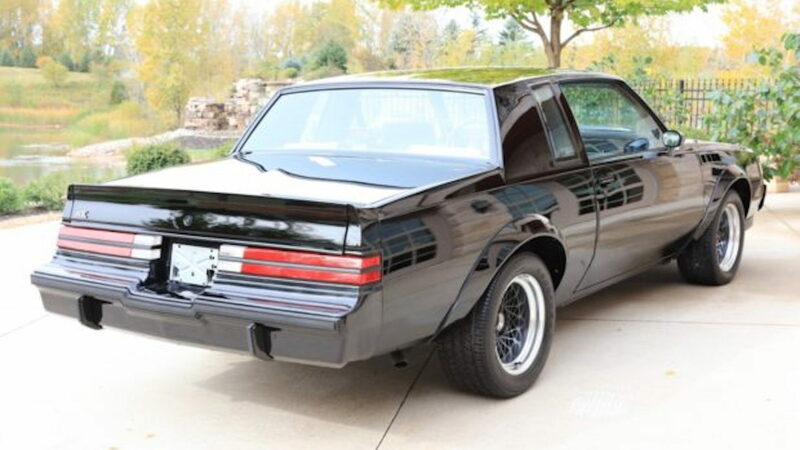 For those who need a crash course on the GNX, it was a limited-run model built in 1987 based on the Buick Grand National, which itself was born from the Buick Regal to celebrate the brand's success in the NASCAR Grand National series. 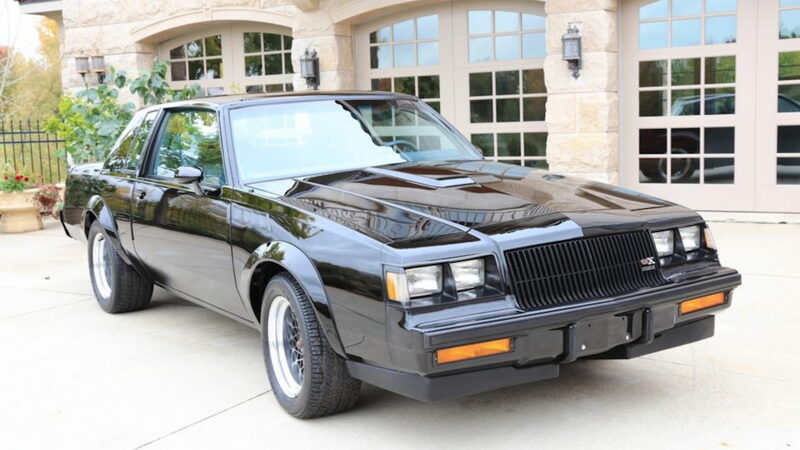 Buick built the Grand National in 1982 and from 1984 to '87, while the GNX was only offered for the 1987 model year. Buick partnered with McLaren Performance Technologies/ASC to bring the GNX to life. It featured a larger turbocharger and intercooler than the components in the Grand National, and a low-restriction exhaust system. 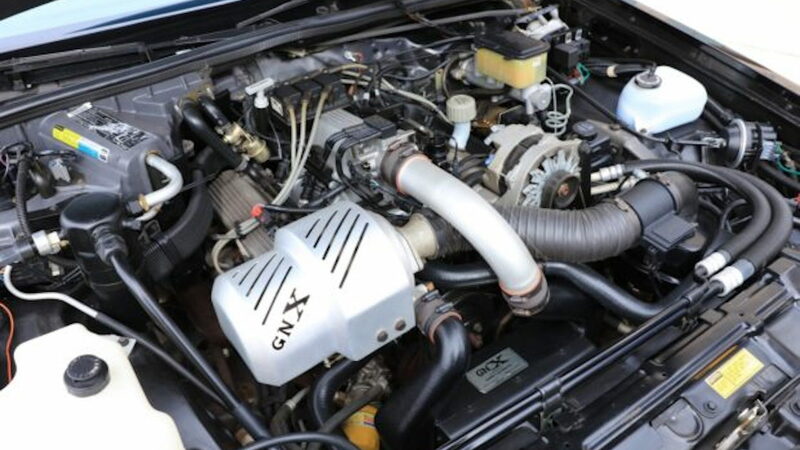 All told, the GNX made around 276 horsepower and 360 pound-feet of torque compared to as much as 245 hp for the Grand National. The GNX's horsepower figure was likely underrated. This car is certainly an exercise in patience and willpower. The car was first sold in Arkansas and was then sent to a Texas dealership where it was displayed in the showroom. Since its delivery to the Lone Star state, it's never been driven. Not once. The current owner purchased the car in 2002 and carried on the tradition of no miles. The only things the owner has changed are the battery and relay switch, though both original parts come with the sale. The photos show a downright factory fresh-looking Buick GNX. 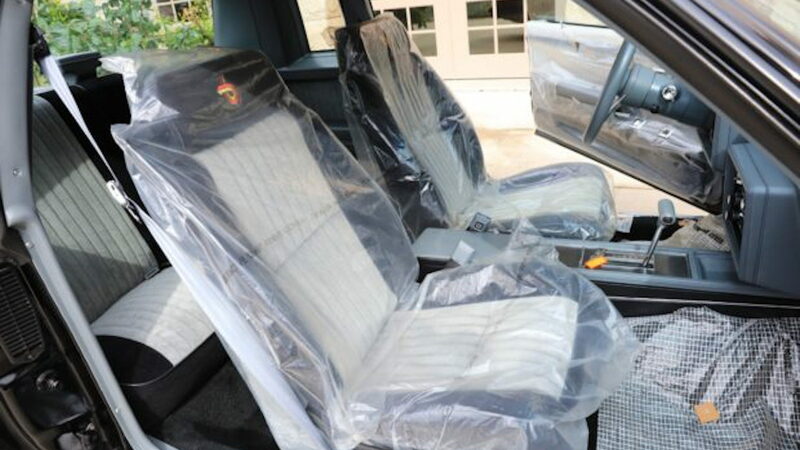 Protective plastic still sits on the carpets, door panels, and seats, and the floormats are still packaged with embroidery from the original dealer that sold the car. Time has been kind to GNX and Grand National values. Multiple cars have reportedly sold for six figures, and we're about to see this one, production no. 480, reach that mark as well. It certainly helps that only 547 GNXs exist. The current bid sits at $101,000 with three days left, and it will likely go higher before the virtual hammer drops for this time capsule of American performance.